Despite numerous functional trail attributes, the wrinkle-free Cardiffs dress up nicely for a night out. The nylon/Lycra blend fabric is extremely packable and quick-drying, and button-and-bungee loops create instant trail gaiters. 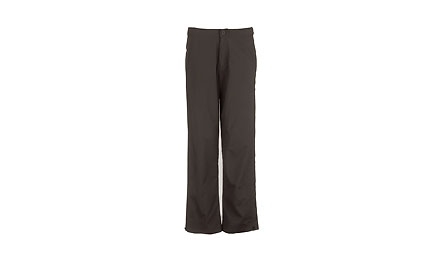 The trouser-style cut is flattering, and the flat waistband and silky feel make for a comfortable all-day fit. $65; 4-18; 7 oz. (8); royalrobbins.com.